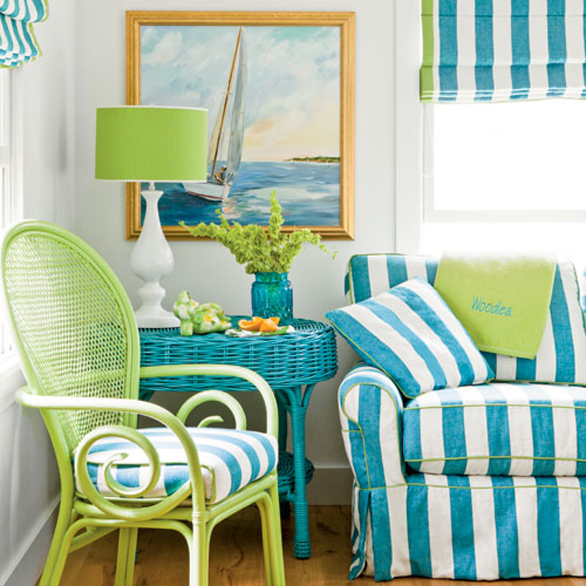 Living up here in Minnesota I can relate to wanting a bright and and cheerful home all year round, like the homeowners of this fun cottage on Lake Michigan designed by Dana Small. 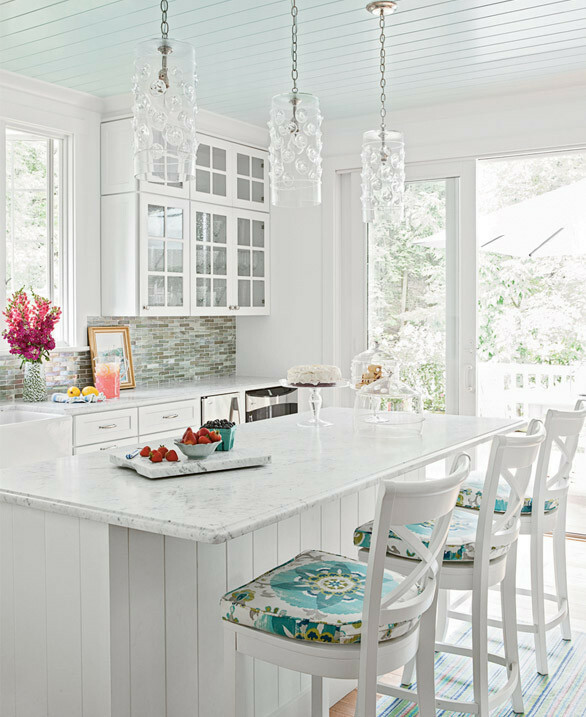 I am seriously loving that light-filled kitchen…those stools are too cute! 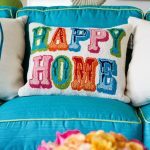 (Found the cushion fabric here!) 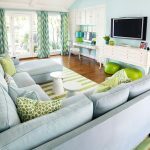 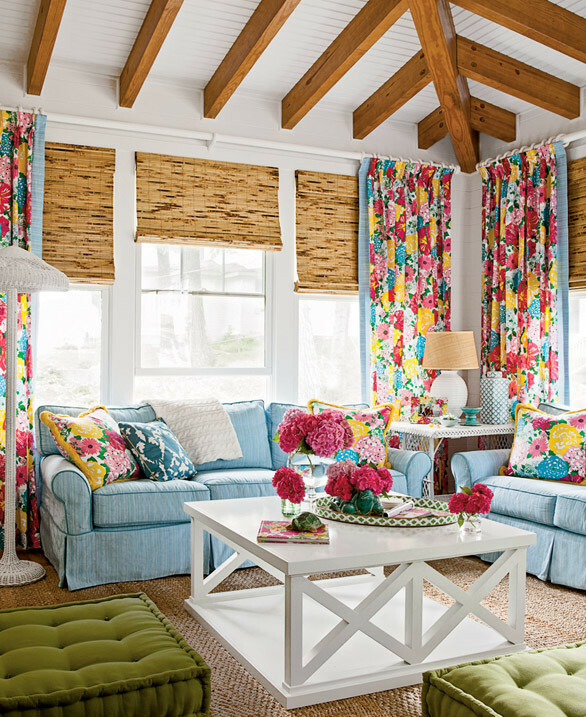 The bold family room is super fun too, love the Lilly Pulitzer fabric on the pillows and curtains. 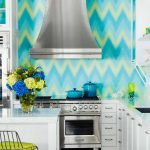 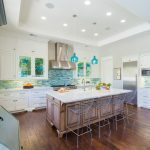 Finish your tour with more photographs by Lisa Romerein and read all about the home in Coastal Living! 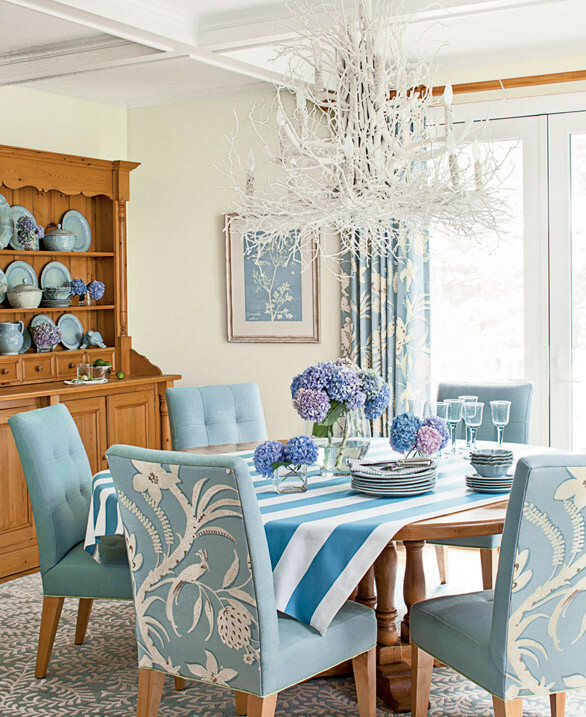 And for another fab home I featured designed by Dana Small, head here!